Parasitic infections are something most people recognize as a harmful element to their body’s general health. Truth is, some of these organisms actually live naturally inside our bodies and happen to be very beneficial to our health. However, not all of them are good. In fact, parasites like of Candida Albicans and Tapeworms, just to name a few, have been linked to chronic disorders that range from autoimmune diseases such as Reactive Arthritis and Irritable Bowel Syndrome to neurodegeneration and mental confusion. If the country you’re living is an industrialized one, you might be of the school of thought that parasite infections are a horror story that’s only experienced by those in developing nations. The other opinion may be that the closest you can come to experiencing such scenarios is probably through traveler’s diarrhea, right? Unfortunately, that’s far from the truth. Let’s take a look at common ways you can acquire a parasite and why a human parasite cleansing may be in order. Parasites can be acquired in a number of ways. Our general lifestyles are what usually help set us up as humans for internal imbalance and weakness. This is actually what also helps make parasites as problematic as they’ve slowly grown to become. Carriers are most times asymptomatic, which means that they don’t show any signs of infestation. Other times, battling a pathogenic bug could be what has caused you to get dramatically ill. Whether it’s fungus, virus, protozoa, bacteria or a parasitic worm, the parasitic infection can range from several weeks to even years. Parasite cleansing normally helps keep your body’s systems unburdened and removes the common pathogenic bugs. 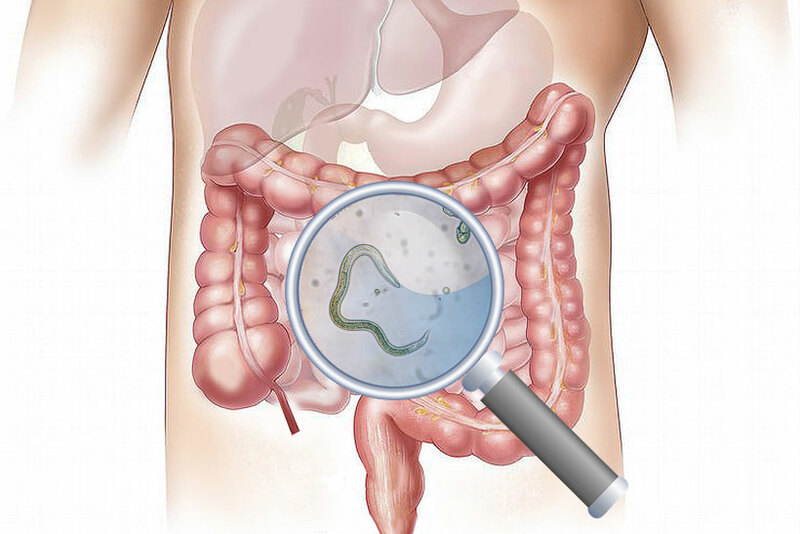 Strong anti-parasitic medication can prove very successful when removing the bulk of the parasites that happen to be affecting your digestive system. However, most of this medication is so strong it has the ability to force parasites that are single-celled deeper into more systemic levels inside your body. What this basically means is that it can take these organisms from your digestive tract to internal organ tissues. Effective parasite cleanses will certainly help you avoid all this. In this article from MicrobeFormulas.com you’ll find a lot more on why parasite cleanses can prove so advantageous to your health. Here are three of the top reasons to utilize a regular parasite cleanse at least three times a year. The inflammatory effect parasites usually have on the walls of your intestines is oftentimes one of the biggest dangers they offer. Permeability is created by inflammation. When the walls of your intestines become permeable as well as inflamed, any kind of pathogen or large food particle can enter your bloodstream. This is actually why we see such strong correlations between autoimmune disorders and parasitic infections. It’s also why they are often able to coexist seamlessly with allergies. Regular cleansing can ensure you don’t experience any of the health complications we’ve just mentioned. Bugs inside your body tend to create a slimy matrix around them known as biofilm. An effective way to both control as well as change the pathogenic bug biofilm within your digestive system is by populating your tract with loads of other beneficial bacteria. Beneficial bacteria manufacture their own good biofilm which helps heal intestinal inflammation. Regular parasite cleansing helps maintain the overall health of your digestive tract. Cleansing your body’s internal environment periodically, with say herbal parasite cleanse remedies, can help you maintain the optimum levels of your bodily functions. Because parasites happen to be a natural part of a healthy ecosystem and are quite common, going through a full cleanse at least three times a year might just be one of the best things you could do to the internal environment of your body. Similarly, making a few lifestyle choices the likes of practicing stress-reduction exercises and eating fermented foods can help vastly improve both the health and quality of your body’s immune system as well. Going through a parasite cleanse is nowhere as intimidating or scary as most people think. This is something that really shouldn’t be giving you sleepless nights. A parasitic cleanse has the ability to provide your body relief from a wide variety of parasite-based symptoms. Some of which include chronic pain, digestive upsets, and migraine among several others. Giving your body sufficient support is very important, especially in situations such as these. Eat the right foods, perform coffee enemas, apply castor oil, and stay hydrated so that your body systems have both the support and energy it requires to remove all the toxins and pathogens that may be keeping you from maintaining the best health you possibly can. Even though parasitic infections rarely lead to severe health complications, they are something you shouldn’t ignore. Hopefully, this article has taught you a few things you may not have known.